Death is a great interrupter. It pushes its way in, in the most obnoxious of manners. It is unwelcome in our lives, as we deal with the grief, questions, pain and sorrow that death inevitably brings. And it often doesn’t seem very fair. 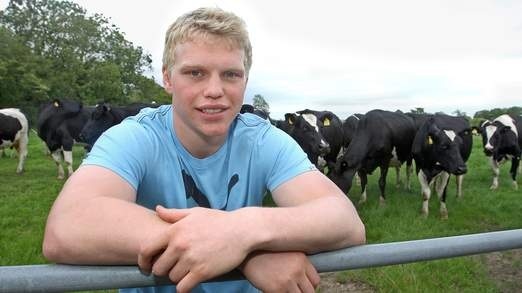 Last weekend, the world of rugby was stunned by news of the tragic passing of 22 year old rising Ulster star, Nevin Spence, along with his father, Noel and 30 year old brother, Graham. In what seems to have been a horrific farming accident, it appears the three men were killed whilst trying to rescue the family dog (and then each other) from a slurry tank. Spence’s sister, Emma, who was also involved in the incident was treated in hospital for the effects of fume inhalation. 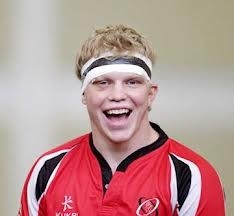 Welsh rugby legend Shane Williams said, “My thoughts and prayers go out to the family of Nevin Spence. A tragic loss. A class act on the field also. RIP”. New Zealand rugby world cup winner Dan Carter tweeted: “Such sad news and my thoughts go out to his family”. Northern Ireland golfer Rory McIlroy also tweeted his condolences, saying: “Just heard the tragic news of Nevin Spence and his family. Makes you cherish every day you have on this Earth”. However, in the midst of real sadness and grief, and in the midst of the many questions, there is something (or rather someone) that makes a difference. Most of us feel pretty moved by hearing about incidents like this at a distance from us … let alone when it becomes close up and personal. Whilst the death of such a promising young rugby player at just 22 is a terrible tragedy, the fact that he had trusted his life to Jesus Christ means that our grief for Nevin is not grief without hope. 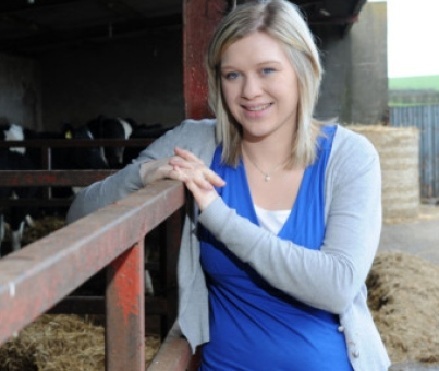 Of course our thoughts and prayers are with his close-knit Ulster Christian family, not least with Emma Spence who has survived her brothers and father. Few of us have any understanding whatever of the pain that must be theirs. Yet while Christians like the Spence family recognise the pain and tears, the separation and suffering, they also look forward to the day when God will “wipe away every tear from (his people’s) eyes”, when “there will be no more death or mourning or crying or pain, for the old order of things has passed away”. The simple truth is that Nevin was setting out on a bright sporting career trusting in Jesus. Not an easy thing to do! For those of us who do believe, that puts a fresh perspective even on our deepest tragedies and sorrows. This simple old hymn shows the kind of trust and hope that Christians like Nevin have in the face of death and tragedy. Do you have a similar trust in Jesus both in this life and for eternity? This entry was posted in Uncategorized and tagged Christian, current-events, Death, dy, Grace, Hope, istian, Life, Llandeilo, religion, Simon Bowkett, Tragedy. Bookmark the permalink.